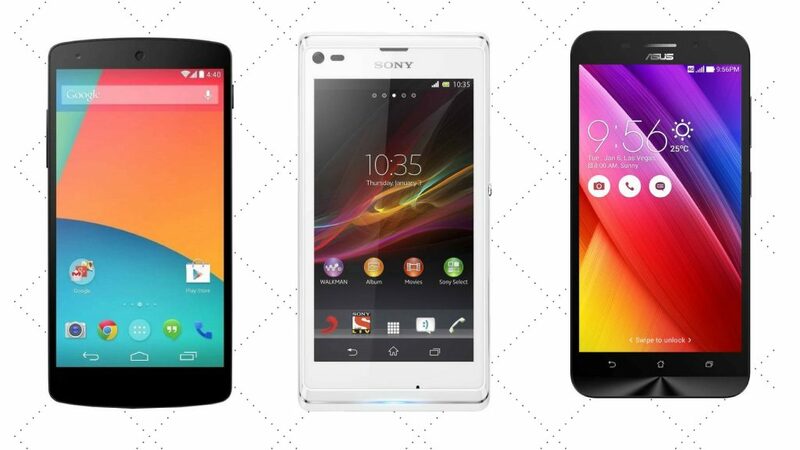 Are you willing to buy a phone that will suit your needs? Choosing a smartphone in 2018 is indeed a very difficult task. With so many features to look for and so many factors to consider, things might get tougher. However, if you are still willing to choose the best phone, consider buying a phone with 3GB RAM. Our guide of the Top 10 Best 3GB RAM Mobile in India Reviews & Comparison will certainly help you to find the 3GB RAM Smartphone in India and fulfill your needs. 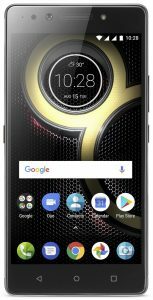 The Lenovo Phab 2 comes with a full metal body with stripes for the antennas at the top and bottom. The design has a premium look to it but the huge 6.4-inch display could be considered bad by some users. The device is similar in design to other high-end devices. It is one of the Best 3GB RAM Mobile in India. It has set a standard for future Tango integrated devices. Unlike many handsets in this price group, Phab 2 comes with a full metallic body design and in the Gray color, it looks even more dashing. It is spotted with a massive 4,050 mAh battery and was also required as it sports a big screen and is powered by a powerful processor as well, both demands a good battery backup, nicely done Lenovo. 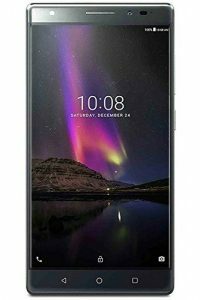 They have used a MediaTek MT8735, 64 bit-Quad core processor that clock at a speed of 1.3 GHz, Lenovo has also used ARM’s Cortex A53 to further enhance the multi-tasking experience. The Zenfone 4 Selfie, as the name suggests, is a selfie camera-centric device. The Asus Zenfone 4 Selfie Single camera variant is powered by an Octa-core Snapdragon 430 processor and packs 3GB RAM and 32GB internal storage which is expandable up to 2TB via microSD. The phone runs on Android Nougat 7.0 and is scheduled to receive an upgrade to Android Oreo next year. As the front camera is the highlight of the Zenfone 4 Selfie, it sports a 13-megapixel front camera with an LED flash and a 140-degree wide angle lens along with a soft selfie light. The rear camera is also 13MP with PDAF and dual-tone LED flash. Both cameras come with support for Portrait mode. The phone is less than 7mm thick and feels very good in the hand. The disadvantage of the sleek phone is average battery capacity and here we have a 3000mAh battery. The battery should last a day on a single charge. Plus you have fast charged as well which can charge the phone in less than 2 hours. 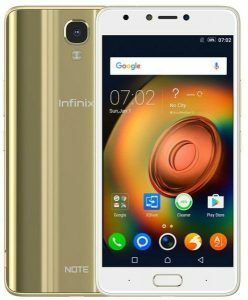 The Infinix Note 4 is a run of the mill Android smartphone. It has a good display and good battery life, along with an average camera, and that’s about it. Sure, there is a dedicated microSD card slot if that’s something you are looking for, but if a holistic smartphone experience is something you want and have a budget of only 10k, there are better values for money devices available in the market. The bottom of the device has the micro-USB charging port. There are two speaker grills one on either side of the micro USB port, but the sound output comes from only one making it a mono speaker. The smartphone is 8.4mm thick and the device weighs 204 grams. The back panel of the smartphone is removable, giving you access to the two sim card slots and the MicroSD card slot. It’s nice to see a dedicated microSD card slot and not a hybrid slot found on so many other devices. You also have the 4300mAh battery on the smartphone, which is non-removable. The phone comes with a 5.5 HD IPS TFT screen and is not protected by a scratch-resistant display. 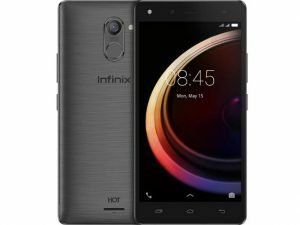 Infinix Hot 4 Pro is powered by a 1.3GHz Quad-Core Mediatek MT6737 processor and comes with 3GB of RAM along with internal storage of 16GB which can be expanded with a dedicated microSD Card up to 128GB. With 3GB of RAM, the phone is expected to multitask at ease. It is one of the Best 3GB RAM Mobile in India. The processor on Hot 4 Pro is not the best and has an Antutu benchmark score of 24489, which is considered as a low score. Redmi 4A in the lower price range comes with Snapdragon 425 and 2GB of RAM to deliver Antutu score as high as 37000. The camera of the Infinix Hot 4 Pro has a 13MP rear camera sensor and 5MP as front camera sensor. It holds a LED flash at the back which would assist in low lighting conditions. The images are clear and crisp, but again not extraordinary, given the price point. In low lighting conditions, some noise and shakiness could be observed in the images. It sports with 1.3 GHz, Quad Core processor It weighs bit heavy. It encompasses with MediaTek MT6737 Chipset. Another very good thing is its battery life. Eluga ray 700 boasts of 5000 mAh battery which is highest in its price range. It gives you around 2 days of standby with a mixed usage. Unlike other phones, the Eluga ray 700 has a dedicated sim slot for both the sim cards. You can insert an external memory card without compromising on the Sim cards. Also, if your old smartphone is facing Hybrid sim slot problem then don’t worry as we bring solution such that you can use Dual Sim & microSD card together. 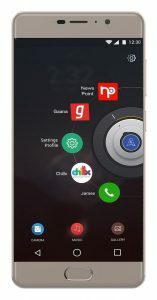 Like the Eluga ray 500, this phone also provides the feature of pre-loaded Virtual Assistant ARBO for voice recognition and text to speech conversion. It has a good screen-to-body ratio. A little bit heavy. 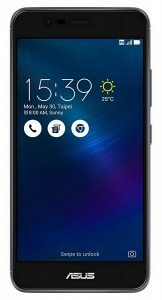 Asus Zenfone 3S Max features to a 5.2 inch HD display with 2.5D glass with 1280 x 720 pixels resolution. The display ideal not so big or not so small, in short, it is a pocket-friendly smartphone and make easy grip in your palm. The quality of the display is quite sharp even in direct sunlight; you can play games and watching videos in a crisp view. On camera section, the Zenfone 3S max is packed by a 13MP primary camera and 8MP front-facing camera. Both the camera is equipped with all modern photography features to provide you the photography experience of a DSLR. On software front the smartphone runs on the Android v6.0.1 Marshmallow operating system, however, the Nougat update is still not confirmed for the phone but it is quite good with current one. The phone is powered by 1.4GHz Qualcomm Snapdragon 430 octa-core processor along with 3GB RAM, so it is the perfect phone for game lovers to play heavy games and enjoy multitasking. It is good news for people expecting a quality display which can enhance the visual experience while watching movies or streaming any videos online, It is featuring 5 inches Full HD 1080p Display with 441ppi of display density. The color balance and saturation is helping to produce a vibrant display. Overall the screen is enough to impress by showing eye-pleasing graphics. It is also one of the Best 3GB RAM Mobile in India under 10000. The weight of all the processing is lifted by the Snapdragon 430 SoC, It has 8 cores which are clocking at 1.4 GHz. This processor is made by Qualcomm for the Entry level device but it is powerful enough to run most of the daily tasks smoothly and lots of heavy games can be played with lower graphics settings. Its 4000 mAh battery can stand for 2 days in mediocre use. 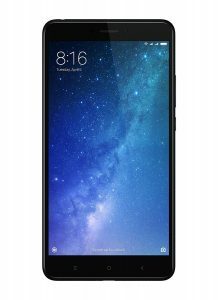 Good features of the smartphone are 5 inches vibrant screen, a well-balanced processor with 4GB RAM offering pretty good performance but they sacrifice its primary camera quality. The way phone is crafted by the engineers is pretty decent. The corners are gently curved to achieve a well griping. With 9.6mm width and 198 grams of weight phone feels bulky but we have to remind that there is 5000 mAh powerful battery. The 2.5D Glass covering the front panel and the sides are rear has a metallic body. Primary Camera is located separately under a big circular ring along with LED flashlight. The Volume rockers and Power button are situated on the right edge. Top housing 3.5 mm Audio jack while the bottom has MicroUSB slot! 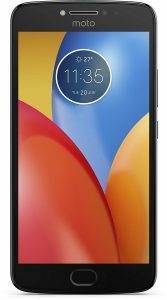 The USA version of Moto E4 plus is powered by Snapdragon 427 while in India it comes up with MediaTek MT6737 Quad-core processor having 1.3 GHz clock speed. This chipset is coupled with 3 GB of RAM to offer a Decent performance but doesn't expect anything phenomenal. On the best level in can proceed day to tasks and some light games smoothly. The visual experience in 5.2-inch Full HD (424 PPI) display is pleasing to enjoy your favorite movies. It is vibrant and bright enough to use in daylight under direct sunlight conditions. To maintain its premium looks it has smudge-proof 2.5D glass and display is also protected by tough Corning Gorilla Glass 3. 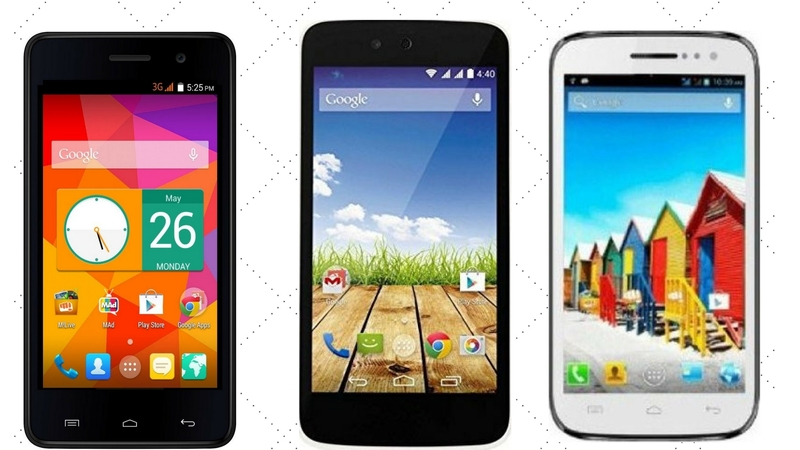 In terms of budget, it is simply the Best 3GB RAM Mobile in India. To take better photographs there is a Dual setup of 13 Megapixel camera with Purcell Plus sensor and 5 Megapixel camera with a depth sensor. Both have Largan precision lenses. This dual combination helps to achieve professional DSLR-quality bokeh effect photos. So definitely it is fun to take pictures in daylight although under insufficient lighting condition the noise in photos can be observed clearly. There is also 8 Megapixel secondary camera incorporated by the front flash to take selfies even in dark. Performance is decent enough because of MediaTek MT6757 Helio P25 octa-core processor clocked at 2.5 GHz. You can enjoy the multitasking without any lag as the CPU is coupled with the 4 GB RAM. It is really praiseworthy the way phone is designed, Metallic body covering the rear and 2.5D glass covering the front with round edge made it premium looking gadget. A fingerprint scanner is integrated with the home button. 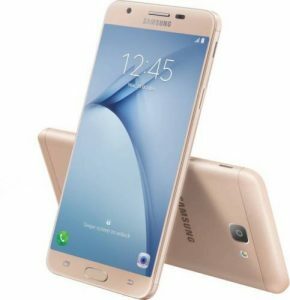 The Galaxy On Nxt is simply the Best 3GB RAM Mobile Under 15000 that you can wish to purchase. There is dedicated card slot for SIM 2 and these slots are located on Left edge with volume buttons while Single power button placed on right edge. Bottom carry a USB type-C charger and 3.5mm audio jack. Samsung is marketing a phone with Super AMOLED display even in an entry-level phone but in this handset, they are offering TFT Display which is not vibrant and crisp as AMOLED, although it is quite pleasant for looking at the video and image content whatever you through on it. 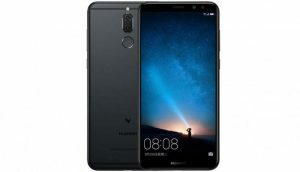 It has Full HD 1080p resolutions with 423ppi display density, Phone lacks the Ambient Light Sensor so the Auto-brightness will not work, however manually you can change it. All the processes of a phone are handled by the Exynos 7870 Octa, in this mobile 3 GB RAM and 1.6 GHz Octa-core CPU makes a good combo to handle the most of the tasks with ease. 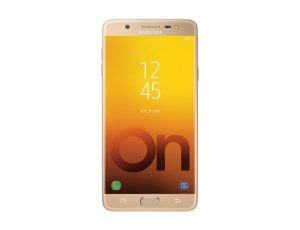 Best Buy- The Samsung Galaxy On Nxt is the Best 3GB RAM Mobile in India that you can wish to buy. It has Full HD 1080p resolutions with 423ppi display density. There is dedicated card slot for SIM 2 and these slots are located on Left edge with volume buttons. The Single power button is placed on right edge. 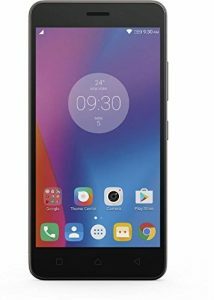 Value For Money- The Lenovo K8 Plus is the Best 3GB RAM Mobile in India in the value for money. It is vibrant and bright enough to use in daylight under direct sunlight conditions. To maintain its premium looks it has smudge-proof 2.5D glass and display is also protected by tough Corning Gorilla Glass 3. 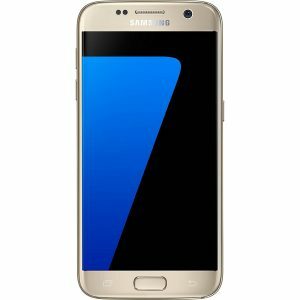 Are you willing to purchase a good Mobile with the best features? Choosing a good phone with sufficient RAM allows you to play high defined videos, download enough apps and still use it fast. With the technology developing every day, it is important for everyone to have a good RAM on their phone. 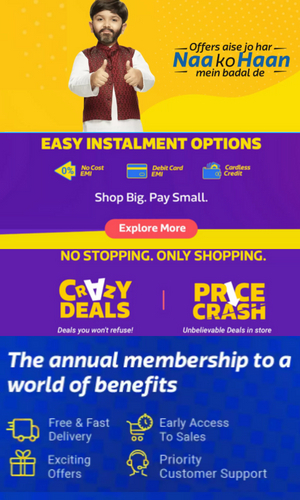 Most of the people do get confused to choose the Best 4 GB RAM Mobile in India. However, if you are willing to choose the best phone, here is our list of the Top 10 Best 4 GB RAM Mobile in India Reviews that you can purchase. 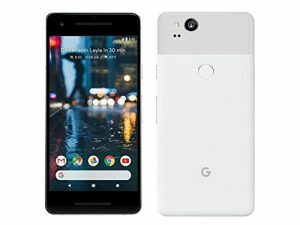 Google launched its most awaited Pixel 2 in November 2017 in India and seriously it has left everyone awestruck with almost everything the phone gets. Google Pixel 2 comes with 5-inch AMOLED screen compared to 6-inch display as seen in Google Pixel 2 XL. The display has a resolution of 1080 x 1920 Pixels. Google Pixel 2 in the 5-inch screen has the perfect form factor and is super easy to grip in hand. The build quality is a lot superior and has a metal unibody construction, the body is covered with a premium plastic coating to make it grip easily in hand. Pixel 2 is powered by 1.9 GHz Octa Core Snapdragon 835 processor which is the topmost processor till date from Qualcomm as the industry awaits the unveiling of Snapdragon 845. Both the SIM slots support 4G. The battery is non-removable. The phone has metallic iPhone style built where the edge is gently curved that enhances the craftsmanship and also making the phone easy to hold, with the Thickness of 7.3mm and 153-gram weight handset is quite compact to carry. the front has 2.5D curved glass. 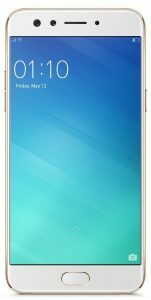 the phone looks like the younger sibling of Oppo F3 Plus. Volume buttons are located on the left edge, the power button is placed on the right along with the card tray slot, while the 3.5mm audio jack and micro USB port are at the bottom. This selfie expert smartphone comes up with an entry level MediaTek MT6750T processor based on 28nm technology. For the normal day to day task this chipset performing quite well as it is also coupled with 4 GB RAM. Display protected by Corning Gorilla Glass 5. No FM radio without internet. Loud and distortion free stereo speakers. Along with the improved design, the display has also undergone a significant change. The 6.44-inch full HD (1080p) LCD screen is much crisp and bright than its predecessor. Battery life is one of the most important aspects of any smartphone. The massive 5300mAh battery of the Mi Max 2 is a major upgrade from the 4850mAh battery in the Mi Max. With this battery specs, the Mi Max 2 will easily last you two days after a full charge. Metal Built and looks of the device. The Design of the Smartphone is compact and ergonomically curved on the corners which are built on the 6000 Series Aluminium. The front side has 2.5D curved Glass that is also protected by the Corning Gorilla Glass 3. Finally it is good decision by Lenovo to include Dual SIM support with Dedicated slot for the MicroSD card on the Left Edge, just below of these slots there is Music Key for playing/ pausing audio or video although you can set other features like opening the camera, taking screenshots, switching the flashlight or opening any particular app. Right edge housing Volume keys and power button. On the bottom, you will find MicroUSB slot and two speaker grille where only one speaker is actually inserted. For the audio output 3.5mm, audio jack is located on the Top of Smartphone. It comes with a 5.99-inch display which is quite rich in details. It comes with a resolution of 1080 x 2160 pixels. Also, don’t get confused with it display size and body size. The size of the phone is nearby normal 5.5-inch smartphone whereas its “display” size is 5.99 inch. The Honor 9i comes with 2D curved glass display which is protected by Corning Gorilla Glass. It comes with Hybrid SIM Slot. You can use a Micro SIM + Micro SD Card or One Micro SIM + One Nano SIM at a time. The Honor 9i 5.9-inch FullView 2.5D curved glass display and it is powered by the 2.36GHz octa-core Kirin 659 processor and 4GB of RAM. It has 64GB of storage and also has support for Micro SD Card. The phone runs on the Android N and packs 3320 mAh battery. The Honor 9i comes with a 16MP+2MP dual camera and 13MP+2MP dual front camera. 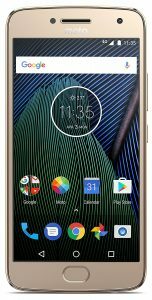 The moto G5 Plus looks familiar and is unmistakably a Moto device. The front of the phone can be best described as a much-refined version of the design language pioneered on the G4 Plus. Front and center you’ll find a 5.2 inch Full HD display with a Corning Gorilla Glass 3 layer on top. It isn’t really surprising to see the wide bezels which are common on devices in this category of devices. The Moto G5 Plus is powered by a 2GHz Octa-Core Snapdragon 625 processor with Adreno 506 GPU and has 4GB of RAM onboard. If you’ll remember our review of the Redmi Note 4 which is powered by the same chipset, you’ll remember that we found performance to be more than satisfactory. The clean build of Android further helps the phone run fast and smooth. The device has a metal build which feels strong and looks good. The display on the front is a large 5.7 inch Full HD display with good colors and viewing angles. The display is covered with a 2.5D glass which gives it a premium look. Above the display, there is a 13MP front camera with flash. Selfie lovers will love this combination of a high-resolution camera with a flash for low light conditions. Below the display, we have a fingerprint sensor which is quick and accurate. On the back, we have a 13MP camera with larger pixels for low light conditions. The performance of both front and back camera is decent and we have no complaints. The P25 is a decent chipset with performance similar to Snapdragon 625 but it is not that power efficient. With a large display and a MediaTek chipset, the 3300mAh battery will last a day with moderate usage. A battery size of 4000mAh would have been a better choice for this device. Build quality is solid and the phone feels good in hand There is no fast charging. The camera on the back performs well in daylight and low light conditions. The large 5.7-inch display on the front is vibrant with good color reproduction. The display of the phone is really awesome with 1440 x 2560 pixels resolutions. Before launching, rumors said it will have a 4K display like Sony Xperia Z5 Premium but Samsung manages to have a great deal with 2K. The 5.1 inches IPS AMOLED display having 577 ppi display density is vibrant and crystal clear. Some people complaining that the AMOLED display is too bright and can be problematic to the eyes so Samsung provided a tool to manage the brightness of AMOLED screen. The Glass used for the protection of phone is Corning Gorilla Glass 4. Samsung downgraded its camera standard on the basis of Megapixel unit but upgraded on the basis of quality and usability. They improved its camera aperture, µm pixel size etc. The Dual Pixel Sensor has two photodiodes used for phase detection helps in very quick sharp focus and more accurate color production even in low light condition. The Xiaomi engineers tried best to make this device much better in designing and look, so they used 2.5D curved glass for the front panel, the whole body is made up of metallic-unibody. This gadget is not compromising the premium look. 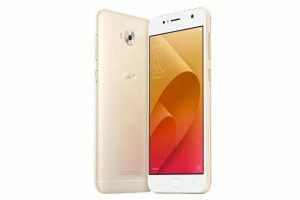 It is also the most valuable and Best 4 GB RAM Mobile in India to buy. The top has 3.5mm audio jack, the bottom has USB cable slot and Speaker Grille, although card slots are placed on the left edge and power button with volume rockers are located in right. The clarity of the screen is impressive with 1080p full HD resolutions and 401ppi display density which also perform well in outdoor sunlight conditions. The 2.5D curved display is pleasantly fitted on the front side of the mobile. It has 13 MP sensor for the rear camera while the previous generation of Redmi Note had 16 MP camera, we were expecting a great camera in this phone but once again Xiaomi launched it with an average camera. 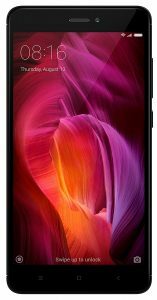 It is the Best 4 GB RAM Mobile in India that you can buy. Mi A1 has a 5.5 inch Full HD display on the front. The color reproduction is good and viewing angles are great. The build quality of the Mi A1 is solid. The phone feels good in the hand thanks to the curved edges. 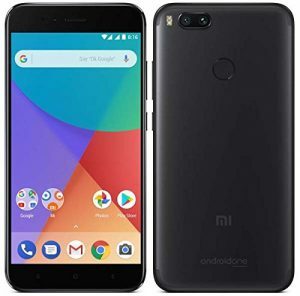 The Mi A1 looks like iPhone 7 Plus from the back because of horizontal dual camera setup and antenna bands on the top. OnePlus guys copied the iPhone 7 Plus design for OnePlus 5 and so did Xiaomi for Mi A1. In the camera department, we have a dual 12MP + 12MP camera on the back of Mi A1. This camera setup is similar to iPhone 7 Plus camera setup where one camera has a wide angle lens and the second camera has a telephoto lens. The telephoto lens helps in zooming and Mi A1 is capable of up to 2X optical zoom. This setup is costly than other setups like color + color or monochrome + color and performs better as well. The processor is Snapdragon 625 with 4GB of RAM. The hardware is good and Mi A1 is able to handle heavy games easily so it is a good mid-range option for gamers as well. Display protected with Corning Gorilla Glass 5. No FM radio without internet.